The globe style rolling table comes with an integrated wood stand. 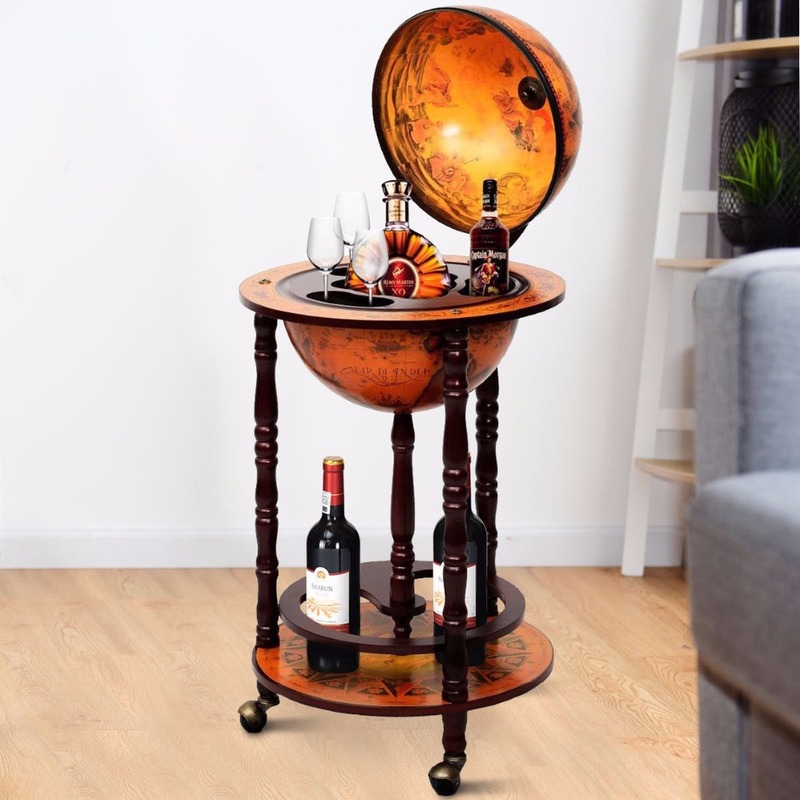 Perfect for wine bottles and glasses storage, this gorgeous globe is unique and practical. The wooden globe features an Italian-style reproduction that replicates 16th-century nautical maps. The globe opens to reveal replicated fresces inside, as well as a place to hold glasses and beverage bottles.